Gutter installation and protection from Waunakee Remodeling. Seamless gutter installation and gutter maintenance is crucial to keeping your home safe from water erosion. 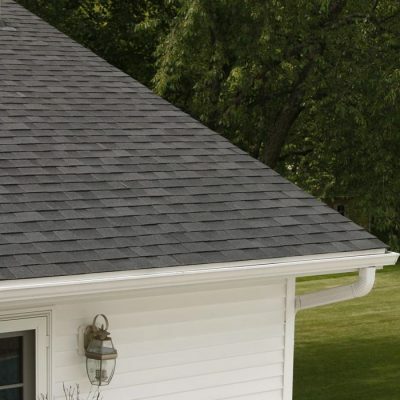 Gutters are nearly-invisible additions to a home, but they perform an essential function: they channel the water runoff from your roof to your yard in strategic places that will help avoid washouts or basement flooding. Gutters also work wonders at protecting roof overhangs from getting water damage. Experts recommend replacing your gutters every time you replace your roof–and keeping them free of debris during the year. You’ll want attractive, easy-to-maintain gutters that don’t take up more time or money than necessary. 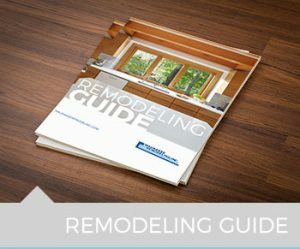 That’s why we’ll talk to you about your needs first, then evaluate your home’s situation, and help you make the perfect choice. 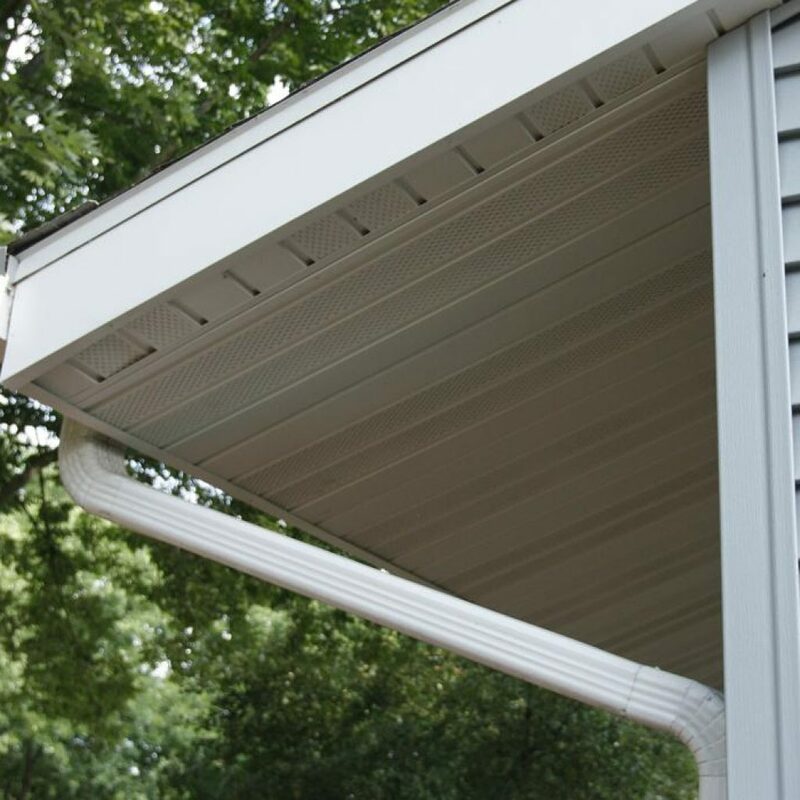 If trees overhang your home and you’re concerned about buildup of dead leaves or debris, you might want to consider a gutter cover system, which totally eliminates the need for gutter cleaning. Like our custom gutters, gutter guards can be installed on new or existing roofs at any time. 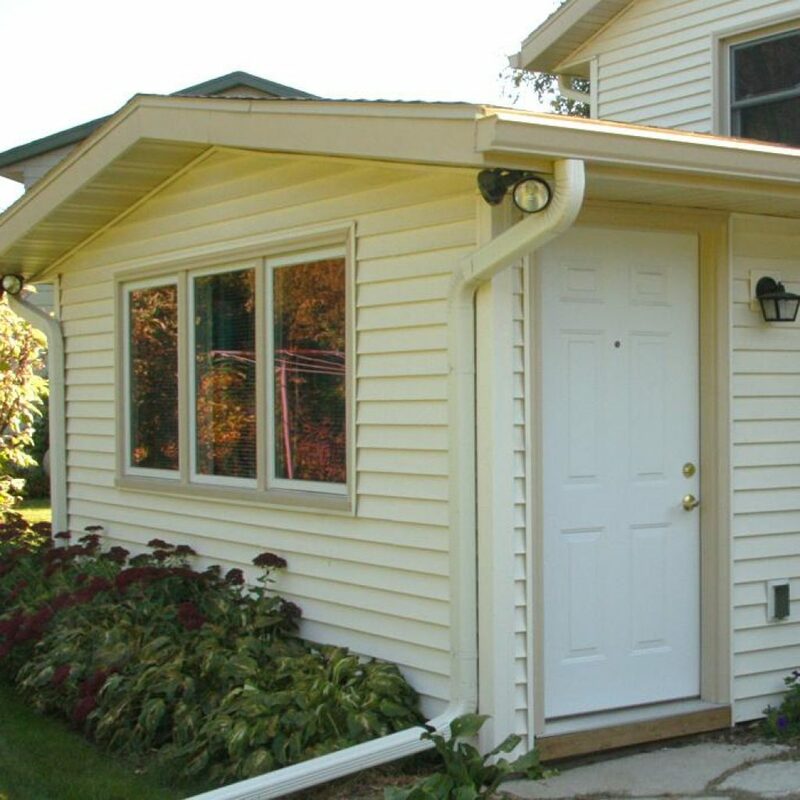 We offer 5” and 6” aluminum seamless gutters and 2”x3” and 3”x4” high capacity aluminum downspouts and runouts. 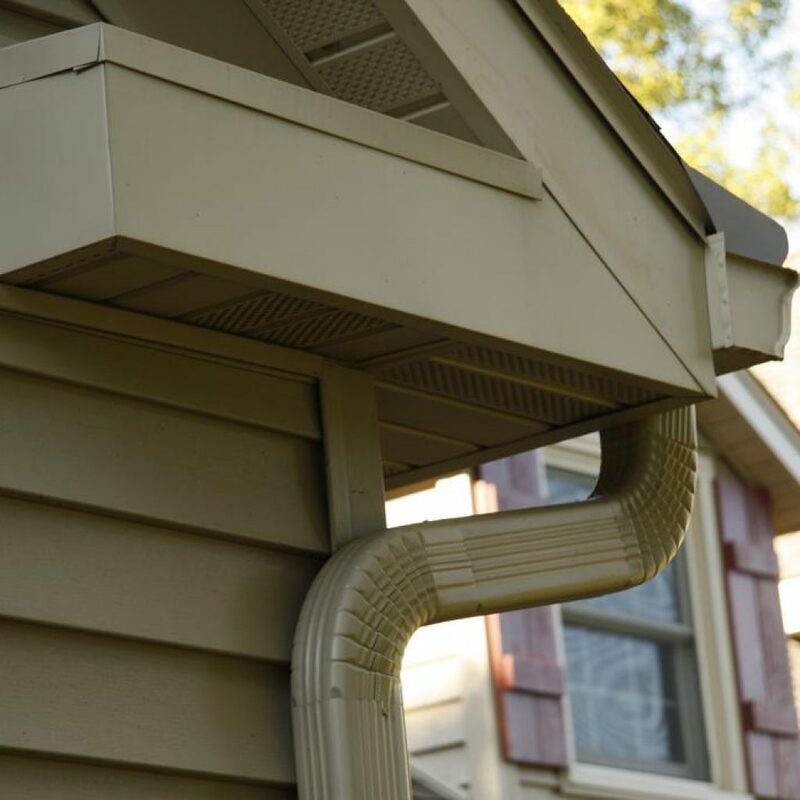 Our gutter services are provided by a team of experts who can make a quick job of your gutter replacement. 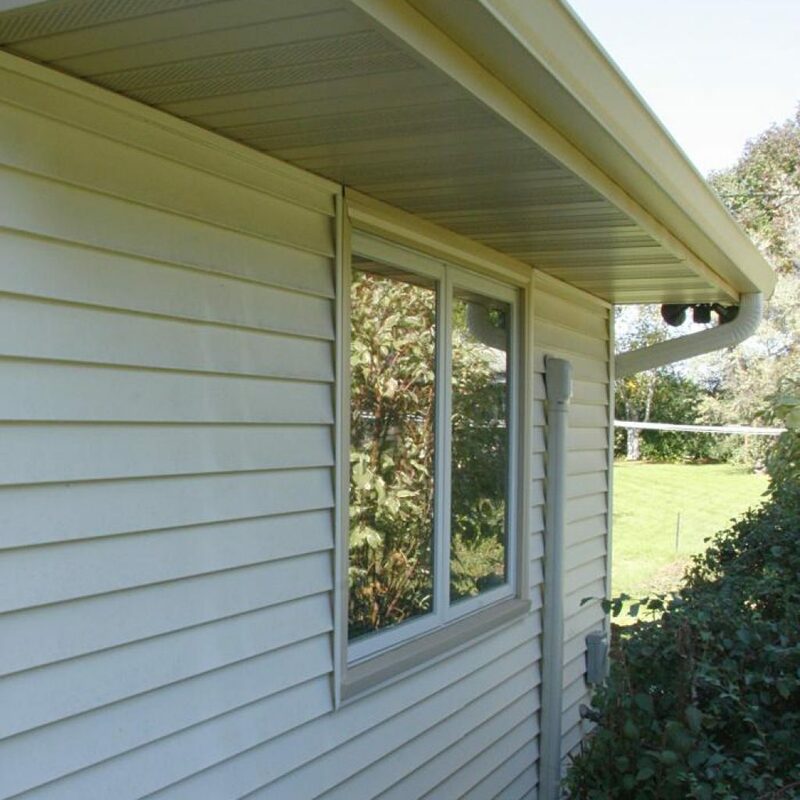 We help you choose attractive gutters that don’t detract from your design, then install them with the perfect pitch to direct running water exactly where it should go. 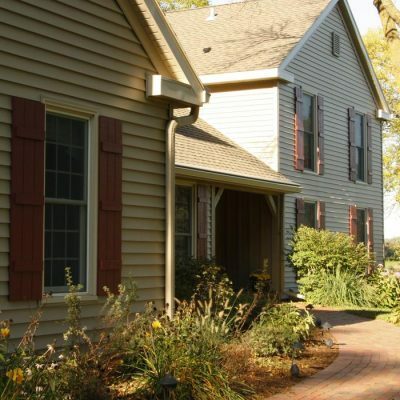 Our professionals can work with a landscape architect as part of comprehensive plan for your home’s unique landscaping, from gardens to groundcovers that can help prevent flooding.